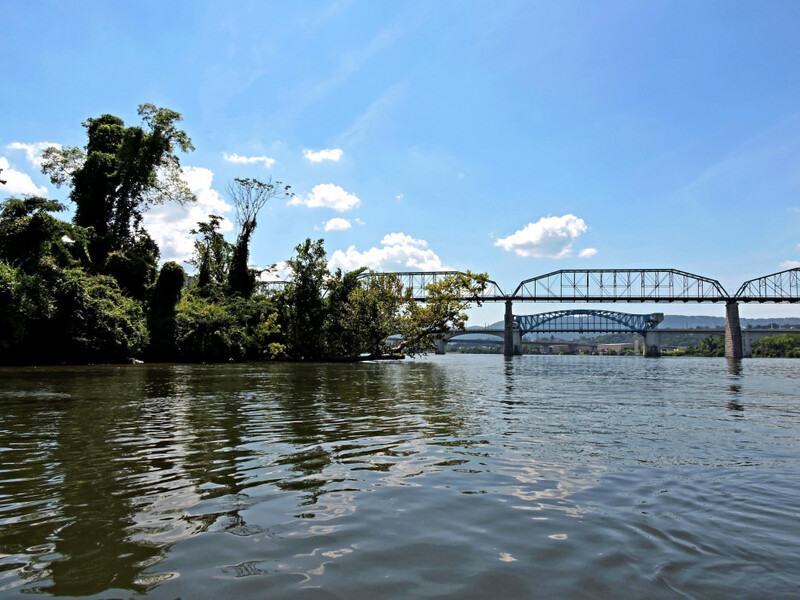 Experience Chattanooga in a way that most people never get to by paddling under and around some of the city's most epic and iconic features. 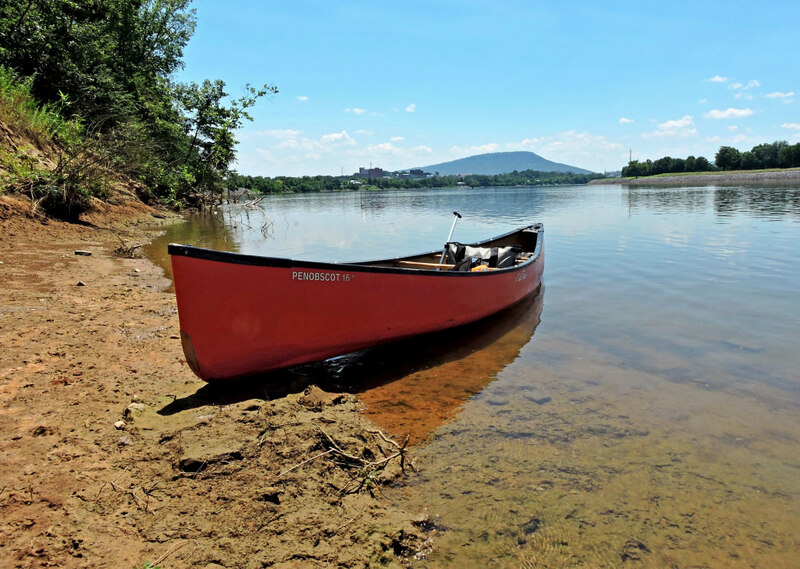 Downtown Chattanooga has fantastic urban paddling any time of the day. For the more experienced, launching at sunset to paddle in the evening, with a thousand lights reflecting on the water, is a special kind of awesome. You'll even find people out before sunrise, getting in a workout. 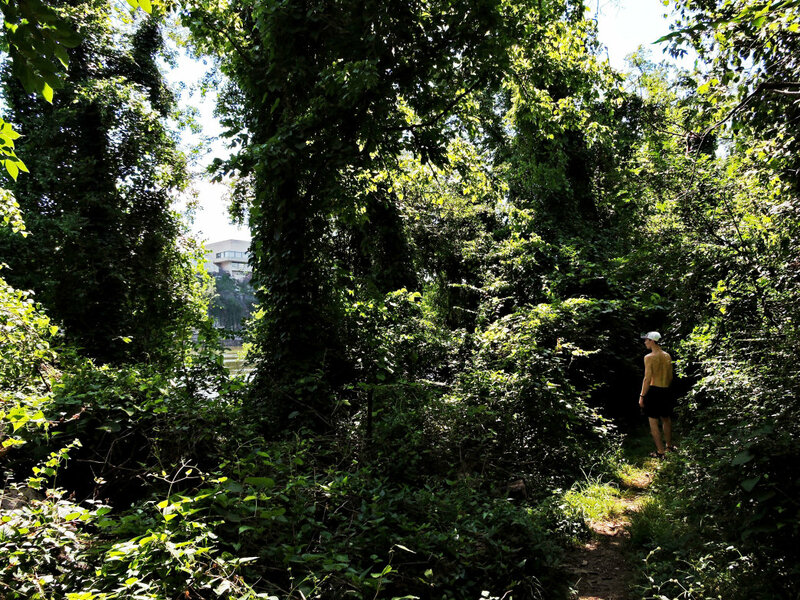 Most people launch and immediately head toward McClellan (Audubon) Island, a 19 acre preserve just upstream of Walnut Street Bridge. 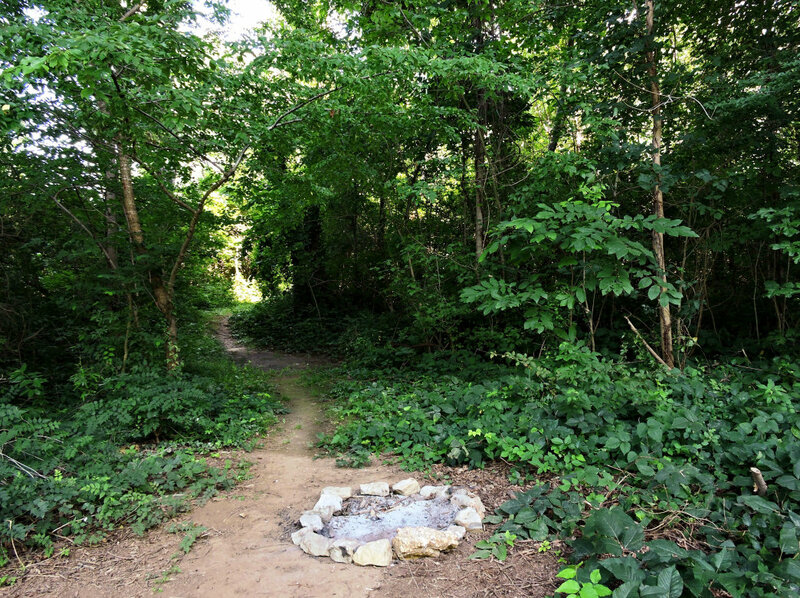 The island has 1.5 miles of hiking paths and is home to a great variety of animals and plants - including poison ivy in the summer months, so watch those bare feet. 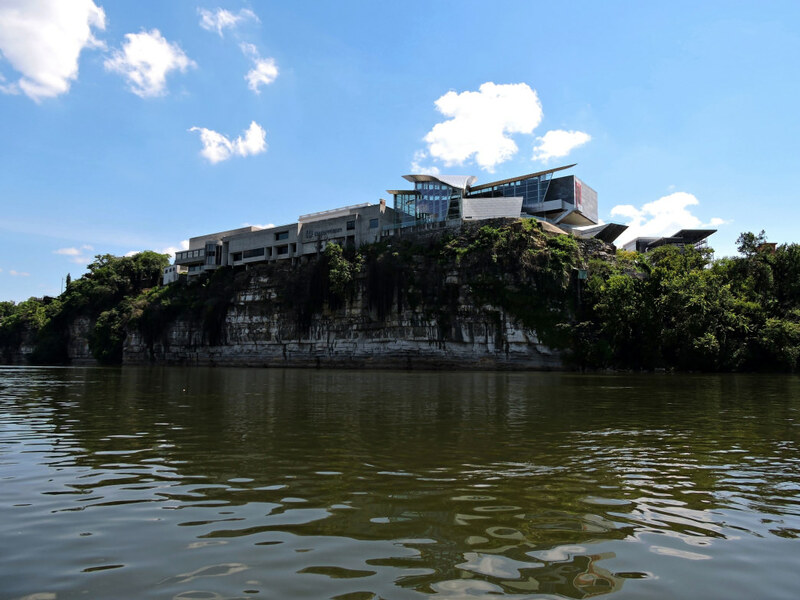 The most imposing scenery is on the south (downtown) side of the river, where you can paddle over to touch the towering limestone cliffs below the Hunter Museum, pass beneath the Walnut Street Bridge a dizzying 140 feet above, and admire the "cannon" water fountains and Tennessee Aquarium from your water-side vantage point. 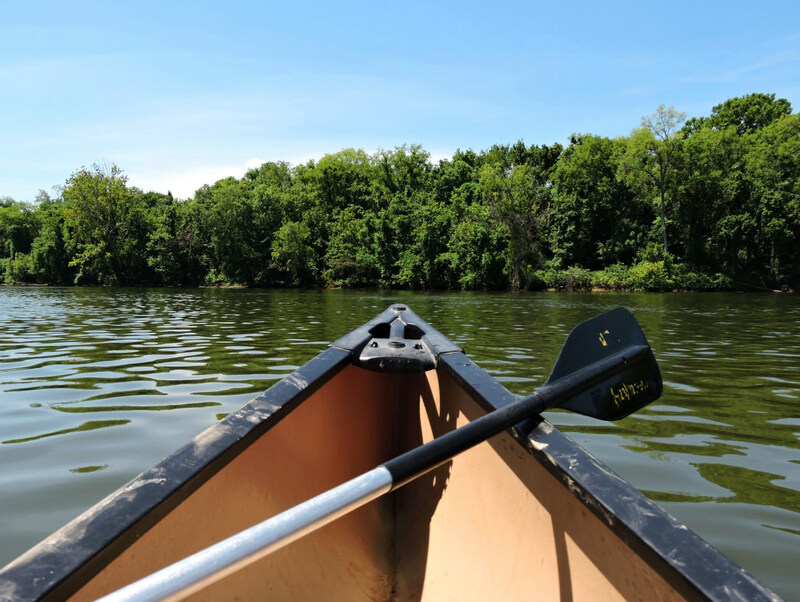 Although not the best place for beginners due to the current, most anyone who is comfortable paddling can enjoy these waters. The water moving you downstream can be fairly swift near the docks and around the bridge pillars, so make sure you are able to make progress upstream being venturing far. 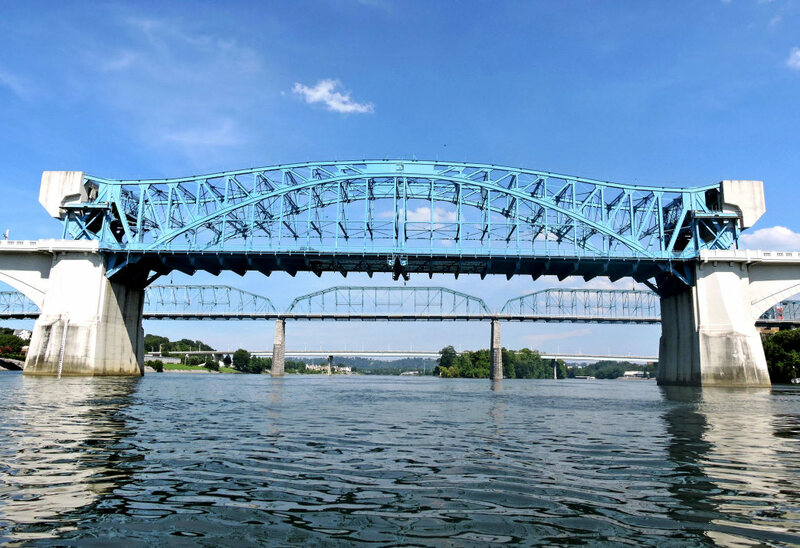 The most popular launch is at Coolidge Park directly underneath the Market Street bridge, where a gentle concrete ramp leads to the water; you won't have to negotiate any steps and parking is readily available nearby. 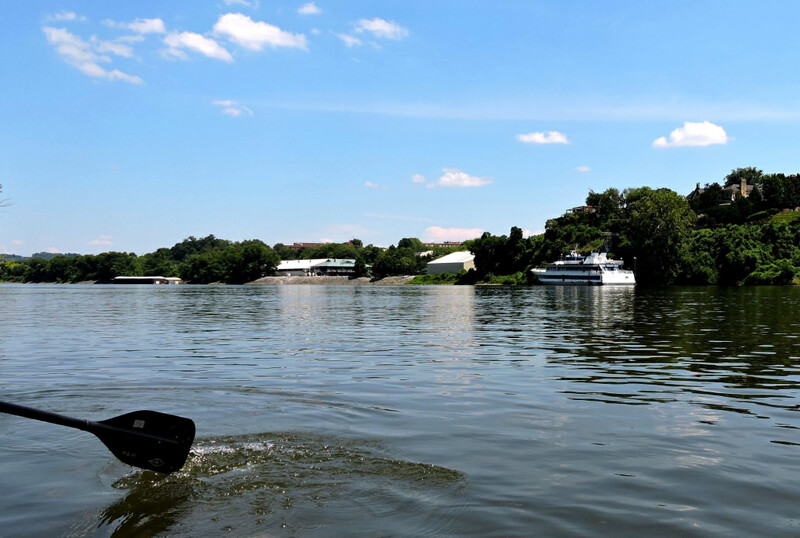 Another option is the canoe launch upstream by the Theater Center, near the statue of the Blue Rhino. 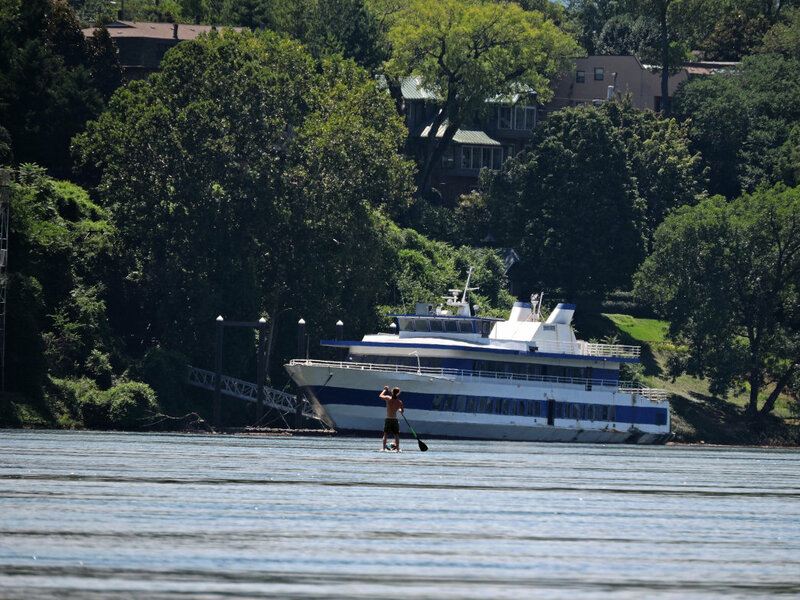 If you need to rent, L2 Boards or Rock/Creek on Riverside Drive have kayaks and SUP boards galore. Be sure and bring a light if you will be out after dark.